Update Notes / Re: Updates January 25th 2019 - Activity / Kill Log Overhaul and Completionist Cape! Bug Reports / Re: Music. When the song plays we have its data available. This is probably an issue with mapping the song to the proper text id inside the music list. I'll have a look at the songs you've mentioned. Many thanks! Nice video. How do switches feel? Are they fast enough and are smooth? Many thanks for the very detailed bug report. I was able to find the issue quickly thanks to that! There is indeed an issue with Agility (= stepping stones) code interfering with death code. What happened was your characters death going through properly and afterwards the Agility stone hop code kicking in and teleporting you back to where you were but on a different height since your death resets that. 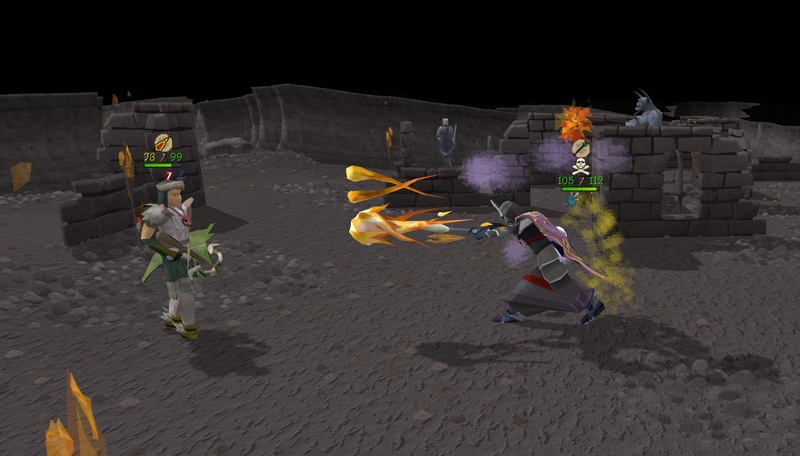 In the next update all Agility related timers and teleports will be cancelled upon death. That should fix the issue and no longer cause such weird side effects. Will be fixed next update, thanks!